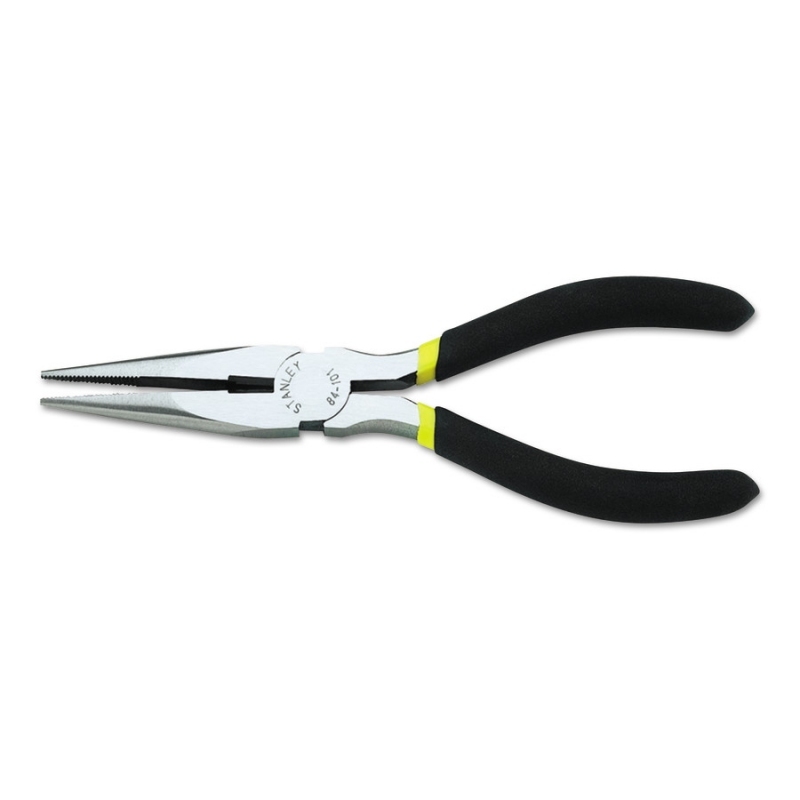 > Tools>Pliers & Cutters>Stanley Long Nose Pliers, 6"
Stanley Long Nose Pliers, 6"
Durable & high quality, these Stanley Long Nose (Needle Nose) Pliers are great for bending, turning, and cutting due to their fixed joint design. The long nose enables one to reach inconvenient spaces. Oil-resistant, 2 component dipped handle offers a comfortable grip. These pliers also feature drop-forged steel which makes them long lasting! Meets ANSI specifications. Particularly great for holding parts (such as bearings) while belt-sanding them! Path: Home > Tools > Pliers & Cutters > Stanley Long Nose Pliers, 6"